FEATURES: Unique Flat Lens Design with a Retro Look. LENS COLOR: Pink Mirror Lens. 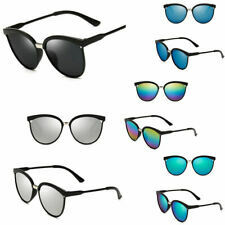 TYPE: Fashion Sunglasses. ONE MICROFIBER SOFT CASE IDEAL FOR LENS CLEANING. HINGE TYPE: Regular. We hope this extra effort makes SAAKSDGS stand out from the competition. LENS COLOR: Smoke Mirror Lens. TYPE: Fashion Sunglasses. ONE MICROFIBER SOFT CASE IDEAL FOR LENS CLEANING. HINGE TYPE: Spring Temples (For a Comfortable Fit). We hope this extra effort makes SAAKSDGS stand out from the competition. LENS COLOR: Blue Mirror Lens. LENS TYPE: Polycarbonate. ONE MICROFIBER SOFT CASE IDEAL FOR LENS CLEANING. HINGE TYPE: Regular. We hope this extra effort makes SAAKSDGS stand out from the competition. FEATURES: Unique Flat Lens Design with a Retro Look. 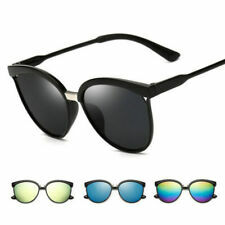 TYPE: Fashion Sunglasses. ONE MICROFIBER SOFT CASE IDEAL FOR LENS CLEANING. HINGE TYPE: Regular. We hope this extra effort makes SAAKSDGS stand out from the competition. LENS COLOR: Rainbow Mirror Lens. TYPE: Fashion Sunglasses. ONE MICROFIBER SOFT CASE IDEAL FOR LENS CLEANING. HINGE TYPE: Regular. We hope this extra effort makes SAAKSDGS stand out from the competition. LENS COLOR: Gold Mirror Lens. LENS TYPE: Polycarbonate. ONE MICROFIBER SOFT CASE IDEAL FOR LENS CLEANING. HINGE TYPE: Regular. We hope this extra effort makes SAAKSDGS stand out from the competition. LENS COLOR: Blue Mirror Lens. 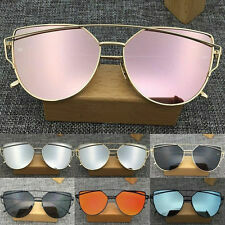 TYPE: Fashion Sunglasses. ONE MICROFIBER SOFT CASE IDEAL FOR LENS CLEANING. Auctiva's FREE Counter. We hope this extra effort makes SAAKSDGS stand out from the competition. The color of the lense is blue mirror. LENS COLOR: Blue & Purple Mirror Lens. 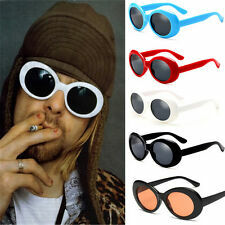 TYPE: Fashion Sunglasses. ONE MICROFIBER SOFT CASE IDEAL FOR LENS CLEANING. HINGE TYPE: Regular. We hope this extra effort makes SAAKSDGS stand out from the competition. 1Authentic Bulgari cleaning cloth. The color of the lense is brown. LENS COLOR : Clear Lens with Slight Gradient Mirror Tint. ONE MICROFIBER CLOTH CASE IDEAL FOR LENS CLEANING. HINGE TYPE: Regular. FREE Trial! Black Blue Wayfarer sunglasses with mirror lens Classic 80's 2 tone. Lens width: 52mm. Lens Height: 43mm. Size: Adult (one size fits all ). UV Protection: 100%. The quintessential luxury eye-wear piece, Prada's Cinema represents the height of Italian fashion. Made In Italy. Lens Color: Light Brown Gold. Lens Width: 52mm. Includes storage case and cleaning cloth.